On July 14, 1962, the Beatles played Rhyl Regent Dansette, on the resort’s High Street, now the site of Burton’s clothing shop. Now memorabilia from the show could fetch thousands of pounds. 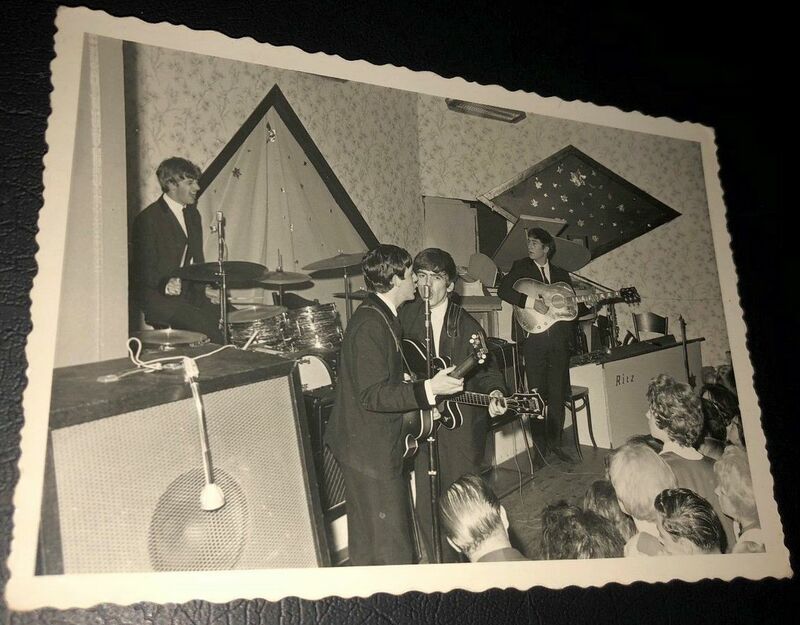 Liverpool’s most famous sons returned a year later and performed on July 19 and 20, at the Ritz Ballroom, on the site of the former Ocean Beach Fun Fair [photo above taken at one of those shows – After the first night The Beatles stayed in the Bridal Suite at The Westminster Hotel].